This Friday (3rd August) the 4th Big Ride for Palestine starts . This years ride is a three day event from Coventry to London via Northampton, and Luton. 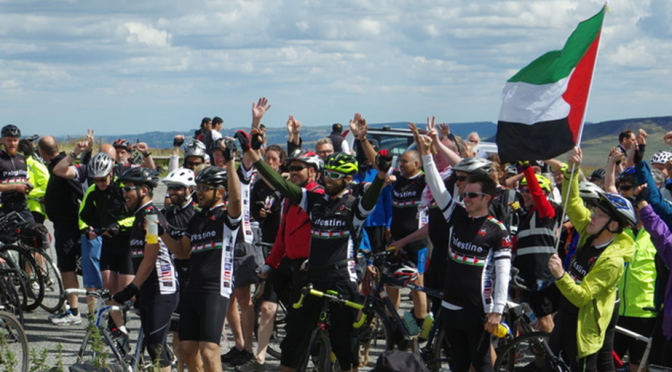 The Big Ride for Palestine is raising funds for sport equipment used in rehabilitation in Gaza, a project in partnership with the Middle East Children’s Alliance (MECA). Money is being raised using the Global Giving charity fund raising platform. For more information Big Ride Information Leaflet or go to the Big Ride Web site www.thebigride4palestine.com. For more information on the ride see the Big Ride Folded A4 Leaflet, email the Big Ride at info@thebigride4palestine.com or go to the Big Ride Web site www.thebigride4palestine.com.